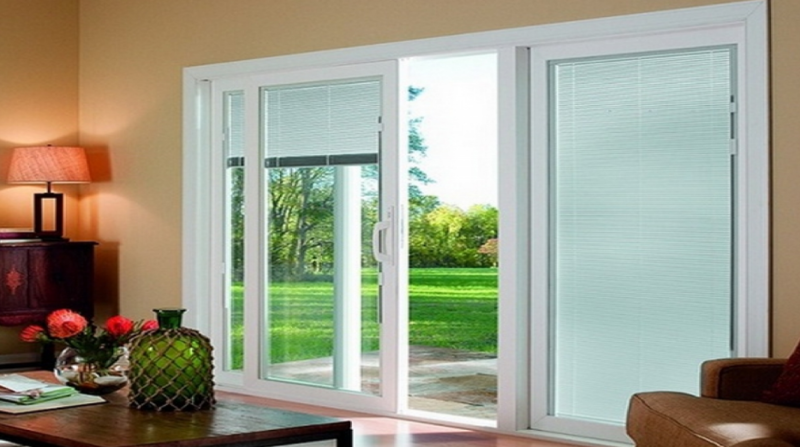 3 Best Styles Of Door Blinds That Are Available For Sliding Doors. A curtain panel is a separate curtain section that can be used alone in some window line situations or with other panels to produce a beautiful arrangement with more functional effect. Curtain panels can be connected in many different shapes, depending on the types of windows you have. For privacy purposes, there are reasons why we do need certain curtain panels to cover doors and windows especially windows that are close or facing the road. Having beautiful curtain blinds add aesthetic to the interiors design of your home. Curtain panels come in different sizes, colors, shapes, styles and form. Before making choice of what type of window covering for sliding doors you will use, first of all, differentiate the purpose of the blind you need if is for privacy or room temperature control. especially the need to block harsh or scorching sunlight that penetrates through the windows, or for covering up the exposed section your window leave open when you want fresh air to come in. Curtain panel and window blinds are essential to help control the amount of sunlight that can easily penetrate in which usually fades off the interior pieces of furniture. They are primarily made from soft, billowing fabric. They provide a classic space and beautiful looks when displayed especially when the blind is raised, the panel then folds naturally. They are ideal for homes and a large area of glass fit for sliding doors. The roman blinds often help to control room temperature due to the thick materials they are made from. They deflect heats away from the room and during winter, the roman blinds help to save energy by keeping the area warm. This curtain blind is a perfect fit for those who prefer door blind for privacy purpose also for a home that prefers the sliding door panels area to be soft and smooth. For homes that prefer a simple, classic style, the roller blinds are the best option as it provides reliable coverage and a long-lasting functionality with modern designs. The roller blind is a good mix of simple and scales interiors, depending on the type of materials chosen. The roller blind is treated with a sun resistant materials which strengthen the fabric and prevent it from fading easily. Another great benefit using the roller blinds is that they fit very close to the windows having less fabric, and are available in a different design. For a cleaner home with natural looks, the panel glid blinds could be the best option for your sliding door. They can accommodate large sliding door areas because their design is often mild and simple in a room. The panel glide blind is a modern curtain blind with a clear, crisp lines with defined boundaries. When panel blinds are closed, they produce a complete fabric screen that covers the window from top to bottom. The panel moves especially when you want a perfect view it relapses and glides smoothly out of the way along the aluminum track. However, all three door blinds listed are very effective and easy to maintain as they are cost-effective as well depending on the type of fabric or material you desire. What’s Water Hammer – And How Do I Fix It?